We have a beautiful new book in stock this week. 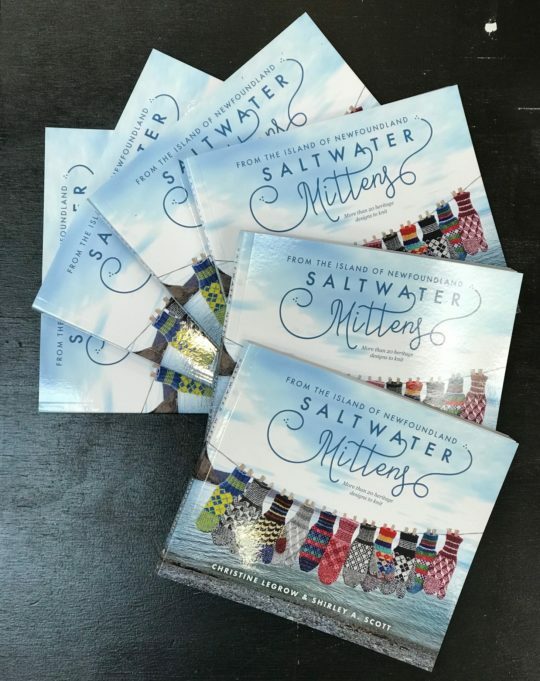 In keeping with our mitten theme, we have “Saltwater Mittens” by Christine LeGrow and Shirley A. Scott. This gorgeous book features wonderful patterns for heritage mittens from Newfoundland that are as practical as they are lovely. 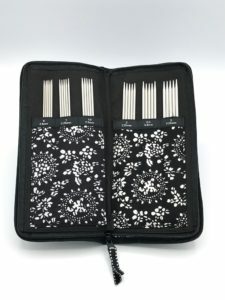 We also have a whole bunch of ChiaoGoo needles! 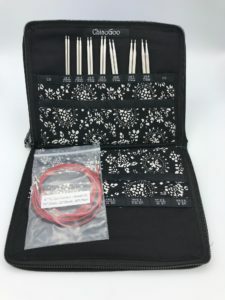 Stainless steel sets, Sock needle sets, cables, and lots of new bamboo needles. 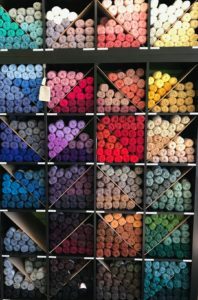 We also have more Uptown Worsted, and our wall of Jamieson & Smith 2 ply Jumper Weight is nice and full again!